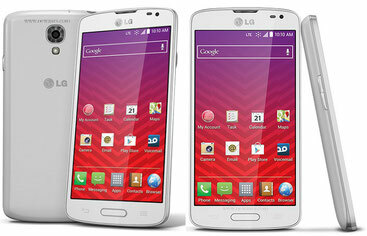 Some LG Smartphone User Manuals PDF above the page. The model from the South Korean manufacturer came out in August 2016. Specifications: TFT-screen 4,5-inch resolution 854x480, operating system Android 6.0, 8 GB permanent and 1 GB of RAM, main camera 5 mp, front 0.3 mp, support for two SIM cards, there is a memory card slot up to 32 GB. Battery capacity 1940 mAh. 4-core processor MediaTek MT6737. Inexpensive smartphone from LG was released in March 2016. Specifications: 5-inch screen with a resolution of 854x480 pixels, Android 5.1 operating system, 8 GB permanent and 1 GB RAM, support for two sim cards. The main camera is 5 mp, the front camera is 2 mp. In the smartphone there is a function "shooting by the gesture of the hand": show the palm, squeeze into a fist and the camera will begin a 3-second countdown before taking a picture. You will have enough time to take an effective pose. In this case, both your hands can be free, and the function will work at a distance of up to 1.5 meters. The novelty, which appeared on sale in Russia in the spring of 2017. 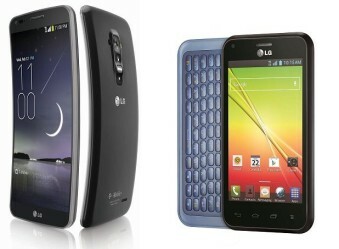 The model is an updated and significantly improved version of last year's LG K7. Technical specifications: TFT-screen 5 inches resolution 854x480, operating system Android 6.0, 8 GB built-in and 1 GB of RAM, support for two sim cards, there is a slot for a memory card up to 32 GB. The main camera is 8 mp with an LED flash. Front camera 5 mp with a virtual flash. Battery capacity 2500 mAh. The battery life in the talk mode is 12.5 hours, in standby mode - 320 hours. 4-core processor MediaTek MT6737. The model is an updated and significantly improved version of last year's LG K8. Specifications: IPS-screen 5 inches resolution 1280x720, operating system Android 6.0, 16 GB built-in and 1.5 GB of RAM, support for two sim cards, there is a slot for memory cards up to 32 GB, the main camera 13 mp with aperture F2.2 . Frontal camera at 5 mp with a virtual flash. Doing Selfie with LG K8 (2017) is easy and convenient. Thanks to interval shooting by hand gesture, it is enough to squeeze and unclench your fist twice, and you will automatically get a series of 4 selfies, made with a difference of several seconds. Battery capacity 2500 mAh. The battery life in the talk mode is 6.8 hours, in standby mode - 352 hours. 4-core processor MediaTek MT6737. Technical characteristics: the screen is 4.9 inches with a resolution of 1280x720 pixels, the operating system is Android 6.0, 16 GB of permanent and 2 GB of RAM, support for two SIM cards. The main camera is 13 mp, the front camera is 8 mp. This smartphone has two screens: the main 1280x720 and an additional 520x80. 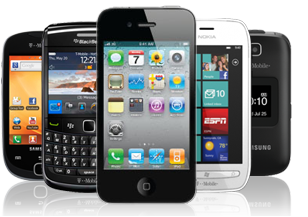 The auxiliary screen almost does not consume battery power, so it can be constantly on and display useful information even when the phone is locked, or show additional controls or replace the top panel of the Android interface when the smartphone is in active mode. Some LG Smartphone Schematics look this page. The model is an updated and significantly improved version of last year's LG K10. Specifications LG K10 (2017) M250: IPS-screen 5.3 inches with a resolution of 1280x720, the latest operating system Android 7.0, 16 GB of internal and 2 GB of RAM, support for two SIMs, there is a slot for a memory card up to 32 GB, the main camera 13 mp with aperture F2.2. A 5-m wide front-facing camera with a virtual flash and a viewing angle of 120 ° and aperture F2.2 captures the maximum number of parts, allowing you to fit more space into the frame. Switching the mode from standard to widescreen and back is done with one touch. There is a function of shooting by hand gesture. Battery capacity 2800 mAh. The battery life in talk mode is 13 hours, in standby mode - 350 hours. 8-core processor MediaTek MT6750. There is a fingerprint scanner that can also be used to capture selfies or (with a double tap) to create screenshots of the screen. Features: 5.5-inch screen resolution of 2560x1440, 32 GB of internal memory and 3 GB of RAM, the operating system Android 5.1. 16-megapixel main camera and 8-megapixel front camera, support for only one SIM card. The camera with diaphragm F1.8, laser autofocus and optical stabilization system OIS 2.0 allows you to shoot at low light, make portraits, create exquisite effects and professional-grade photos that amaze with the clarity and quality of the details. It is worth paying attention to the excellent front camera, so this smartphone is recommended to lovers of Selfie. Specifications: 5.7-inch screen resolution of 2560x1440, 64 GB of internal memory and 4 GB of RAM, there is a slot for memory cards up to 200 GB. Operating system Android 7.0. Quad-core processor Qualcomm Snapdragon 820. Battery capacity - 3200 mAh. Two main cameras, one of which makes ordinary shots, and the other - with a viewing angle of 135 degrees. The main photomodule LG V20 has a resolution of 16 megapixels with aperture value f / 1.8 and optical image stabilization. The aperture value of an additional wide-angle sensor with an 8-megapixel resolution is f / 2.4. There are three kinds of focusing: laser, phase and contrast. It is possible to manually adjust all the parameters of the picture: white balance, exposure, shutter speed and much more. Due to the technology of electronic and digital image stabilization, camera shake during shooting is neutralized. 5-megapixel front camera with aperture f / 1.9 and a wide viewing angle of 120 degrees. The LG V20 camera received 85 points in Dxomark, which is 1 point less than the 7th iPhone. In this case, the resource Phonearena when comparing cameras LG V20 and 7th iPhone gave preference to LG V20. Among other advantages of the model, it can be noted that the LG V20 uses 24-bit / 48 kHz linear pulse code modulation to provide high-quality sound recording. LG V20 not only records the sound in Hi-Fi quality, but also reproduces it using a Hi-Fi Quad-DAC digital-to-analog converter, eliminating up to 50% distortion and noise. As LG assures, thanks to HD-audio recorder and three AOP-microphones users can create studio-quality audio. Development of the musical component of LG V20 was held with the participation of the manufacturer of portable audio products B & O PLAY. The LG V20 passed the MIL-STD 810G impact test, conducted by an independent laboratory that complies with US military standards. The test determined that the LG V20 can withstand impacts and work after several falls from a height of 120 cm and touchdowns on various parts, including the front, rear sides and corners. High strength of the body is achieved through the use of lightweight aluminum and a new material based on silicone. Metal AL6013, used in the construction of aircraft, sailing ships and mountain bikes, was chosen for the manufacture of the back cover of the device due to its strength and lightness. When falling, the upper and lower parts of the body are protected from damage by silicone polycarbonate (Si-PC). This material softens the impacts by 20% better than conventional materials. LG G5 became LG's most popular model in South Korea in 2016 (antutu.com resource data). At once it is necessary to make a reservation that we are talking about the flagship of the LG G5, which is not officially sold in Russia, so it can not be bought in the official LG store or large retail chains, but there is no problem in small Internet shops (if you do not have an advertisement, then the list of stores selling LG G5, you'll see a little lower). Features LG G5: 5.3-inch screen resolution of 2560x1440, 32 GB of internal memory and 4 GB of RAM, there is a slot for memory cards with support for a fantastic volume - up to 2 TB (while you have to choose to install a second SIM card or memory card in the slot ). Operating system Android 6.0. Battery capacity - 2800 mAh. Processor Qualcomm Snapdragon 820 MSM8996 with video processor Adreno 530. And three cameras: 16-megapixel main camera, 8-megapixel wide-angle camera (viewing angle - 135 degrees) and 8-megapixel front camera. The wide-angle camera is located in the same place where the main camera is located on the rear panel. Unlike the dual camera of the iPhone 7, where image analysis is performed by two sensors at the same time, which can affect the quality of the frame for the worse, because there may be blurring of the image in some areas, LG G5 goes in a different way: two photos are taken at once with two different cameras: wide-angle and basic, from which you can choose the best one. Also, the wide-angle camera is good where you need to shoot a large object without being able to move far away from it so that it fully fits into the frame when shooting with a standard camera. The LG G5 camera received 86 points in the famous photographic resource Dxomark, as well as the camera of the 7th iPhone. As for the comparison with another last year's flagship Samsung Galaxy S7 Edge, the resource hi-tech.mail.ru conducted a comparative test of their cameras and the results were as follows: "The flagship Samsung still shoot better, which is especially noticeable at night. However, when taking self-portraits, LG leads , which has another important advantage: the ability to make wide-angle images with a viewing angle of 135 degrees. " The phonearena.com portal conducted several comparisons of the Samsung Galaxy S7 Edge and LG G5 cameras, where the quality of the images was assessed both by blind voting and by experts. In a blind vote, won the Samsung Galaxy S7 Edge, but experts explained this victory with more vivid unnatural colors in the Samsung camera and preferred the LG G5. Therefore, it is fair to say that the Samsung Galaxy S7 Edge and LG G5 main cameras are about the same level, while the LG G5 has the advantage of shooting with a front camera, plus an additional plus in the form of a wide-angle camera. This model is the world's first smartphone with a modular equipment principle. The user can replace the battery in a few seconds or install one of the LG Friends modules: a special LG Cam Plus unit with additional camera control buttons or LG Hi-Fi Plus with an audio chip. With the first module, the smartphone becomes a full-fledged compact camera with a comfortable grip, and with the second it turns into a real audio player. The module LG Cam Plus has its own battery for 1200 mAh. But do not just sum up the capacities, it's a little different: as soon as the battery of the smartphone sits down, it is immediately recharged from the battery in the LG Cam Plus unit. So, in fact, we have in front of us an extra external battery. Like Samsung, LG showed the world a much-updated flagship, compared with last year's G5. From the startling modularity of the G5, the South Korean company decided to refuse, while offering a new interesting solution: the screen in the LG G6 is the world's first IPS display with QHD + resolution (2880x1440) with a non-standard aspect ratio of 18: 9 (2: 1). The ratio of the screen to the total area of the front panel is almost the same as the Samsung Galaxy S8, and the LG G6 case with a 5.7-inch screen has dimensions smaller than last year's 5.2-inch G5. In this case, LG did not remove the brand name from the front panel, for it there was a place. The buttons on the front panel, like the Galaxy S8, are touch sensitive, not physical. Other characteristics: the operating system Android 7.0 with the proprietary shell LG UX 6.0, 64 GB of permanent and 4 GB of RAM. There is a slot for memory cards with the support of a fantastic volume - 2 TB (combined with a slot for the second SIM-card). The capacity of the battery is 3300 mAh. The processor is quad-core Qualcomm Snapdragon 821. At first glance, it's surprising that the processor is not the newest, but it does not cope with any applications and games for Android that are available today, so, apparently, LG did not consider it necessary to reinvent the wheel and increase the cost of its flagship the newest processor. The fingerprint reader is located on the back panel. LG G6 follows the trend of the dual main camera, but it offers, probably, the best solution from all available. If usually the main cameras are not the same in quality, and the second main camera is needed only to simulate the software effect of strong blurring of the background (bokeh), LG G6 developers in general have abandoned this effect. Here, both main cameras are of equal quality (13 megapixel Sony IMX258 sensor), but they have different lenses: one standard with a 71 ° viewing angle and the other is ultra-wide with a viewing angle of 125 ° and a f / 2.4 aperture number. Due to this, the lens is able to capture as much space as possible in the frame where it is needed. Switching between two cameras occurs instantly and without delays. To do this, just click on the special icon in the viewfinder. The 5 mp front camera also has an enlarged (up to 100 °) viewing angle, which allows you to do selfie with a good grasp of the surrounding space even without using a self-stick. Also this will allow you to get into the frame of more friends in a group self. The editorial board of the 4PDA portal awarded the LG G6 a victory in the Best Look nomination for its excellent design and ergonomics, while noting: "LG engineers managed to make one of the most user-friendly smartphones with a large display that combines aesthetics and certified certificates with a stable external impacts design ". If you compare LG G6 and Samsung Galaxy S8, then immediately strikes a price difference of about 9 thousand rubles in favor of LG G6. It can not be said that the quality of a South Korean flagship is worse than that of another: reviews about models are equally good. Both models have an innovative huge display in a standard package. LG G6 at the same time has a dual main camera with a useful function of wide-angle shooting, as well as a front camera with a wide viewing angle, which can not boast of the flagship from Samsung.